It’s that time of year again when you start the holiday shopping, hoping to get everyone on your list a little something they’ll love. This year, I’m offering three great deals for you to take advantage of to give friends and family the gift of massage. I can either mail the cards to you, or send them to you via email for you to print out. And the best part is you can do it all online, if you need to! 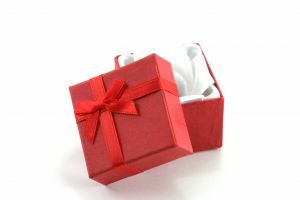 I’ve got items for every budget – from stocking stuffers to “big” presents of multiple massage packages. If you’ve got a lot of people to shop for, it’s worth it to combine purchases into a package purchase to save big. Deal #1: The Best Massage Deal! Available for 60 or 90 min sessions. 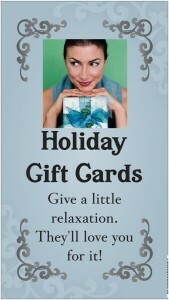 You can give up to 8 massages at regular price to receive a total of 10 gift cards. The gift cards may be redeemed by the same person or given out to different people and are redeemable through December 2012. Let’s do the math: You get a 60 minute session – normally $75 – for only $60. Same thing with long, luxurious 90 minute sessions – normally $100 and with this limited time offer $80 per session. DEAL #2: Stocking Stuffer Spectacular! New clients only! This offer cannot be redeemed by clients who have seen me before. Each client can use exactly one 30-min gift certificate. I’m offering this special because my 30 min gift certificates have been so popular in introducing friends and family to the benefits of massage. I usually only offer a few to each client after they see me the first time. Now I’ll make them available for you to share with up to 25 of your friends! At $7 a piece (when you buy them in groups of 5) it’s a phenomenal gift to use for businesses, groups, managers, HR departments and small business owners. Thank your clients, your teammates, your bosses or your employees for all their hard work. You can purchase up to 25 gift certificates with this offer and they are redeemable through March 2012. DEAL #3: The Turn-Me-To-Pudding Upgrade Special! For just $15, give yourself (or a loved one) 30 extra minutes on the table. This upgrade is usually $25, but for the holidays, I’m sweetening the deal so take advantage of it now! You can buy up to three of these 60-to-90 minute upgrades. A one-hour session is fantastic – now imagine an extra thirty minutes to focus on problem areas while still allowing for relaxation, resulting in a deeper massage experience. And at $15 it’s an easy gift to give to yourself or an existing client. Each client can use three of these 60-to-90 minute upgrades. I had such a great response to my Black Friday specials that I’m extending them through to Sunday. I found out today is Small Business Saturday, and as a small business owner, I figured I’d let you guys have the great deals for a little while longer. The link to the webpage with the description and the links to purchase are here: http://www.massagebyheather.com/black-friday-specials.html. Take advantage of them. After Sunday, they won’t be available! Deal #1:The Craziest Massage Deal. Ever! I’ve offered packages before, but never anything like this. 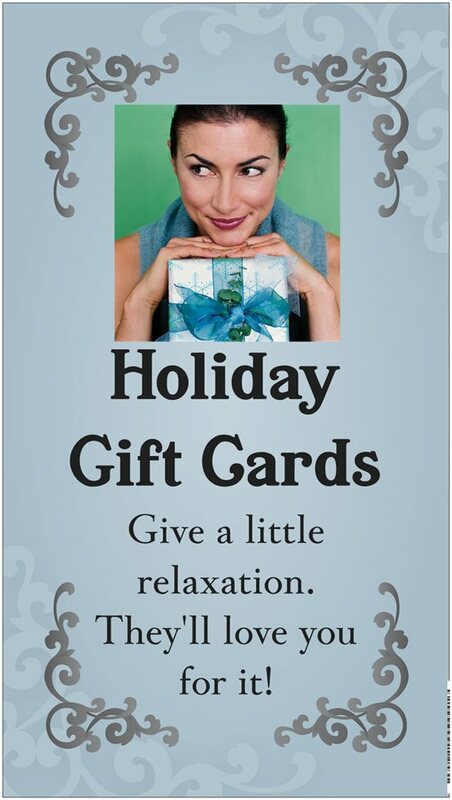 You can give up to 6 massages at regular price to receive a total of 9 gift cards. The gift cards may be redeemed by the same person or given out to different people and are redeemable through December 2012. Let’s do the math: You get a 60 minute session – normally $75 – for only $50. Same thing with long, luxurious 90 minute sessions – normally $100 and with this limited time offer $66 per session. Link available at http://www.massagebyheather.com/black-friday-specials.html starting at 7 AM on Black Friday, November 25th. New clients only! This offer cannot be redeemed by clients who have seen me before. Each client can use exactly one 30-min gift certificate. I’m offering this special because my 30 min gift certificates have been so popular in introducing friends and family to the benefits of massage. I usually only offer a few to each client after they see me the first time. Now I’ll make them available for you to share with up to 25 of your friends! At $6 a piece (when you buy them in groups of 5) it’s a phenomenal gift to use for businesses, groups, managers, HR departments and small business owners. Thank your clients, your teammates, your bosses or your employees for all their hard work. This would be great for those of you weir ho have your own business and want to thank clients, patients or customers for their work with you through the year. You can purchase up to 25 gift certificates with this offer and they are redeemable through March 2012. Link available at http://www.massagebyheather.com/black-friday-specials.html starting at 7 AM on Black Friday, November 25th. Friday, I’m sweetening the deal. This will be the best upgrade deal for the rest of the season so take advantage of it now! You can buy up to three of these 60-to-90 minute upgrades. A one-hour session is fantastic – now imagine how an extra thirty minutes to focus on problem areas while still allowing for relaxation, resulting in a deeper massage experience. And at $10 it’s an easy gift to give to yourself or an existing client. Each client can use three of these 60-to-90 minute upgrades. Link available at http://www.massagebyheather.com/black-friday-specials.html starting at 7 AM on Black Friday, November 25th. So kick back on Friday, log in to my website and get some holiday shopping done. 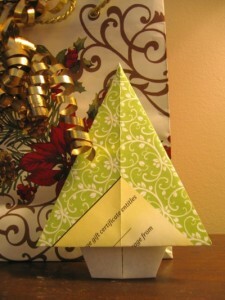 I’ll contact you via email or phone to find out how you’d like delivery of your gift certificates. I can send them via mail (a snazzy certificate on nice card stock) or via email and you can print them out yourself. I’ll let you know the expiration date, the gift card number and you can finish your shopping quickly and give a present that they’ll love. Give the Gift of Massage – Yourself! Want to give your friends and family a gift they will love? 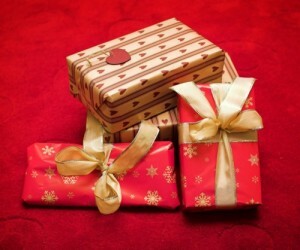 A free gift that requires no money, only time? 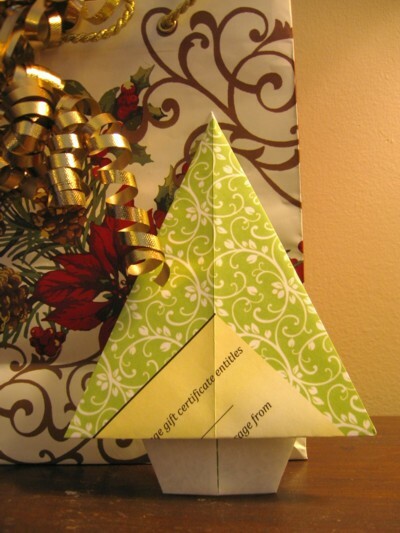 A gift that’s easy to give and fun to do? How about giving them a massage – from you? In the past week, I started a partner massage video series on my MassageByHeather.Com Blog. This is a “How To Give a Massage” for beginners series. There are four videos on the scalp and face, four on the arm and hands, and four on the legs and feet. By December 24th, the playlist will be complete. I’ve designed it so that you can run through the playlist and do the massage along with me. Just get your laptop or smartphone set up with earphones or an earbud, and you’re good to go.